The golden wind shall bring luck and everyone shares the harmony.September 6 ~ 8, the 7th Shanghai exhibition (the Expat Show Shanghai) held in the Shanghai exhibition center. 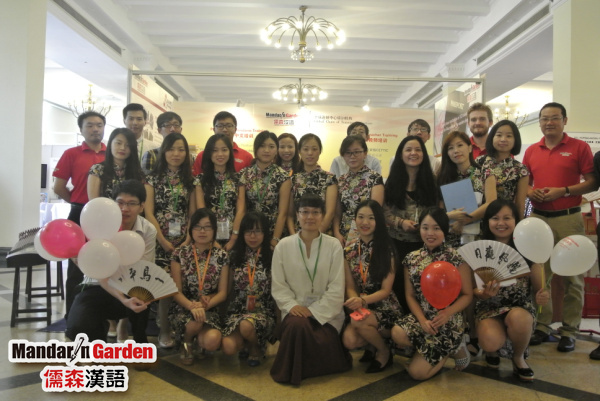 The Entire journey of Mandarin Garden's education group for this exhibition,Successfully shows that its teaching Chinese as a foreign language has solid strength and good results.Introduced its practical teaching ideas as well as its advantageous international Chinese teachers' qualification recognition ,and made an appearance on a Peking opera`s costume ,Auspicious lion dance,Fan painting calligraphy,Guzheng, tea art`s unique performances, to promote Mandarin Garden Education Group`s Ruhong Academy setting up a culture and other fine arts subjects are offered,revealed a better image of its own brand ,Highlighting its role in promoting Chinese language to the world,Spread the ambition and confidence of the Chinese culture. Walking into the exhibition area, feels like the two most obvious feature are the "Chinese elements", "foreign friends". 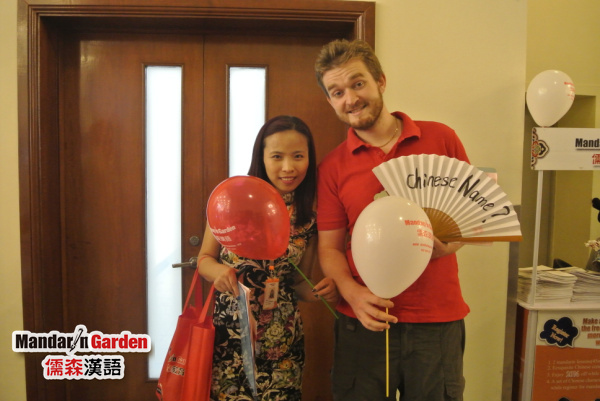 In Mandarin Garden, (stand no. 6A) visitors come in an endless stream, From time to time come along the us and Europe and other foreign friends for more consultations about learning Chinese,including mixed chinese and foreigner children with lovely face. 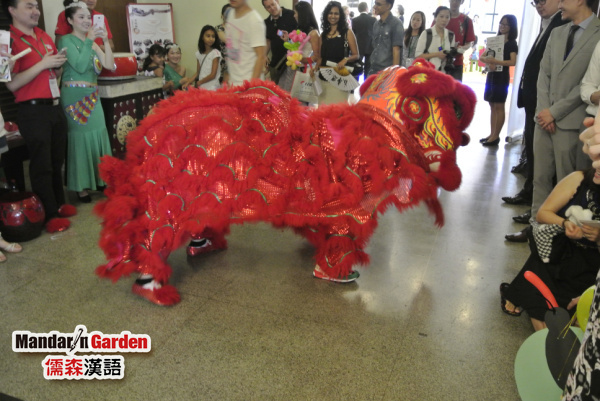 For this exhibition, the Mandarin Gardens performance of the purest Peking opera and the Chinese traditional lion dance art become the two big luminescent spotlight. decorated With a phoenix coronet,and XiaPei the embroidered robes, so skillfully imitated as to be indistinguishable from the original; jubilant Lion dance , as natural as it were living, attracted many visitors to stop by watching and took a group photo.Knowing that Mandarin Garden, trainee provide long distance online Chinese teaching after service, a foreign friend happily said to Mandarin Garden`s teacher Wang, this is too good, before I always been considering how to adjust work and the study time to"
A friend in Shanghai said, she is currently working in a foreign enterprise as a human resources manager, The company in order to upgrade the team comprehensive comprehensive quality and ability to better exploit a greater China business, requiring all foreign employees shall know some basic Chinese conversation, learn some Chinese culturerequires some basic Chinese foreign employees to dialogue, and learn some Chinese culture.